Online resources provide a wealth of information in a job search. Research into potential companies via websites like Glassdoor and LinkedIn helped me understand job opportunities and obtain feedback about companies. Job postings flood my email inbox each day, consuming hours of my time. While I may identify excellent companies and opportunities online, I will not land a position sitting behind my computer screen. At this point, jobs are landed by making personal connections. In addition to an online presence, I must have a physical presence with potential employers. People hire people and especially people they know. Getting out and about is essential to finding a new position. Fortunately, networking opportunities abound: just look around. 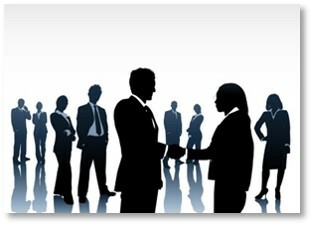 Networking groups help individuals in the job seeking process. States often offer job seeking groups and resources with meetings on a regular basis. Professional organizations are an excellent resource to meet others in a similar line of work, and most importantly, most attendees are currently employed. My calendar is stuffed with activities and events to attend. I am busier than when I was working full-time. The adage is true: looking for a job is a full-time job. The workshop topics were engaging, and the keynote speakers were topical and forward looking. For the first time in several months, I felt professionally engaged and relevant. I added value to the workshop discussions and learned from the keynotes. It was an empowering event where I once again feel involved, enthusiastic, and positive. This event was a turning point for me in my job search. My energy has changed and I feel more vibrant and capable. Shortly after that event, I attend job fairs and experience more positive responses to job postings. The tide was turning. Over the course of the next several weeks, I have several phone interviews and even my first face-to-face interview. I am making traction towards my goal of employment. Interviews are a two-way street, and an opportunity for me to learn about the company, the organization, the work, and the culture. 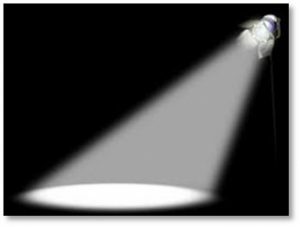 Sometimes I receive a response after an interview, and sometimes the silence is deafening. After a productive conversation with the HR leader of a small medical services company, I have a face-to-face interview with a director and a vice-president. The ride takes me about 90 minutes, but I need to find a position so I will deal with the commute if that is what is needed. During that interview, I come to the conclusion that I do not possess the right skill mix for this position, and this company is a hot mess. I really do not think I want any part of it. Nevertheless, I send my thank-you notes but never hear another word from them. I am not hugely disappointed that I did not get the job, but in my opinion a face-to-face interview warrants a follow-up phone call or email. Another opportunity arises and I have an excellent conversation with the HR recruiter. I am told they are filling this role internally. But the operations manager reaches out to me to come in for a face-to-face interview. Something on my resume or application resonates with him. I am excited about this position; I can envision myself doing this role. It has meaning to me, and I can excel at it. I speak with five different members of the team individually for over five hours face-to-face. The following week they ask me to come back to shadow three different members of the team. We talk about what we will teach each other when I start working there. Radio silence ensues. I have developed positive relationships with members of this team. After a few weeks, I receive a message that while they were very happy with my qualifications and how I would fit in the company, another candidate with more industry experience is the preferred candidate. I am absolutely devastated! Not only did I see myself there, I could envision being successful and happy there. During this same timeframe, I encounter some personal issues that require my immediate and complete focus for the time being. Just as I was making progress, I am faced with a new set of challenges and priorities. The job search will take a back seat for the immediate future. I am feeling extremely challenged and disheartened now. I think I am making progress but have been kicked to the curb. My language is getting profane again. 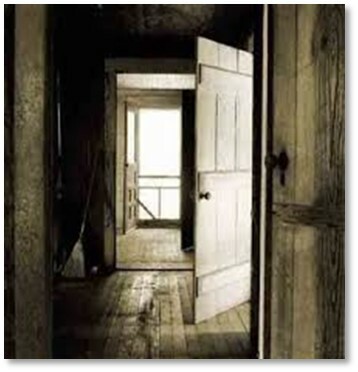 But the adage about when one door closes, another window opens comes to light. On the same day I receive a job rejection notification, I receive approval for a training program that will extend my unemployment. The training program will be flexible in timing so I can address my personal issues. This is an answered prayer to a situation I could not foresee. I am being set on a path for which I know I am not currently in the driver’s seat. This entry was posted in Business and tagged Donna Moulico-Hall, Glassdoor, interview, job fair, job opportunities, job search, LinkedIn, networking by Aline Kaplan. Bookmark the permalink.